Photo description: a field full of poppies. Yesterday was the 100th anniversary of the end of World War I. In commemoration of this, I’m using today’s post to talk about what my ancestors were doing during that war and share a touching video that was filmed by a former soldier who returned to his old battlegrounds about a decade after he’d originally fought there. I’ve chosen not to include the names of my ancestors in this post for privacy reasons. If you’re peering at your family tree and wondering if we’re related or if our ancestors might have known each other, I’d be happy to share more details in private. All of the great-grandparents on my mother’s side of the family were infants or children when World War I began. They were born to various German Mennonite farmers who lived in the midwestern United States, so none of their fathers or other male relatives were soldiers. This meant that not only did all of my great-great-grandfathers survive the war and remain with their families, they also were able to provide basic food and shelter to their loved ones for the entire duration of it. While some of their fellow church members were imprisoned for refusing to fight, I believe those ancestors might have been given exemptions due to the large families they needed to support and the vital roles they played in producing food for the nation in general. 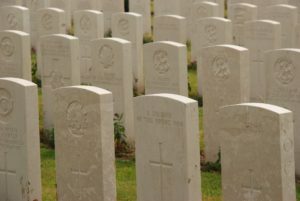 World War I wasn’t a pleasant experience for anyone, but my mom’s side of the family seemed to have much better experiences with it than many people did back then. I know less about my father’s side of the family, especially during these years. Those ancestors were all still living in Germany at the time, and many of them were rarely if ever willing to discuss their pasts for reasons that will soon become clear. One of my paternal great-grandfathers was a soldier during World War I. He was shot in the leg and, according to family legend, used spider webs to pack the wound. Spider webs were traditionally used in many cultures to treat wounds back then. They are said to contain anti-fungal and antimicrobial properties. The vitamin K in spider webs may also help reduce bleeding. Even with the help of this home remedy, the infection he developed in that wound was so serious that he nearly lost his limb. Since this happened more than 20 years before antibiotics became available, I’m honestly surprised that he survived…much less kept his leg! That is the only story I know from that portion of his life. He took everything else with him to the grave. While his body survived the war without any catastrophic injuries, his mental health was severely affected by the things he experienced during those years. He became physically and emotionally abusive and remained that way for the rest of his life. This great-great-grandfather died long before I was born, but I still saw the damage he caused lingering on decades after his death. I share this not to speak ill of the dead but to be honest about the true costs of war. Sometimes it’s horrific. Today I can’t help but to wonder how the lives of his descendants would have turned out differently if he’d either never been through that trauma or lived in a time when he could have gotten real help for the things that plagued him before he became abusive. To the best of my knowledge, none of my ancestors contracted the Spanish Flu in 1918. There are no reports of deaths from it in our genealogical records and no stories about anyone being sickened by it either so far as I’m aware. That surprised me a lot given how many people were affected by it worldwide. My great-grandparents and their relatives were all very lucky in this regard. I’ll be ending this post on a cheerful note. The video below is titled And in the Sky the Larks: 1920s Colour Footage of the Western Front & Northern France. It was originally shot in 1928 by a man named Charles W. Bridgen who had been a L. Corporal in the 7th London Battalion. He survived battles in Ypres and the Somme. About a decade later he returned to visit those places in peacetime. The resulting footage is hauntingly beautiful. There are even some shots of a wedding that took place in one of the spots he was filming in. I’d like to thank my dad for sharing it with me recently. It was a touching tribute to what must have been a very meaningful trip for Mr. Bridgen. What Were Your Ancestors Doing During World War I? I’d sure like to hear any stories your families might have passed down about them.